We welcome you to the website of MARID VI, the 6th edition of the international conference series related to Marine and River Dune Dynamics. Photos and proceedings are now available. The French Naval Hydrographic and Oceanographic Service (SHOM) started this series in 1998 during a meeting of the North Sea Hydrographic Commission. Conferences followed in Lille (France), Twente (the Netherlands), Leeds (UK), Bruges (Belgium) and North Wales (UK). 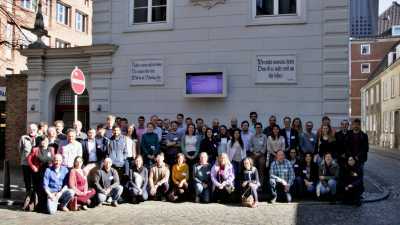 MARID VI will be held in Bremen (Germany), 1 - 3 April 2019. Since its initiation, the conference has combined expertise from a variety of disciplines including geology, engineering, hydrography and biology, with results derived from observations, modelling and experiments. The conference is open to all professionals and stakeholders dealing with bedform dynamics and will give access to cutting-edge science and real-life examples. Networking opportunities are provided with scientists, practitioners, industry, policy advisors and managers from all over the world.